It was a big week for hip-hop and R&B as new releases from R&B crooner Ne-Yo, St. Louisville hitmaker Nelly and Miami mouthpiece DJ Khaled all debuted in the top 10 on the Billboard Top 200. 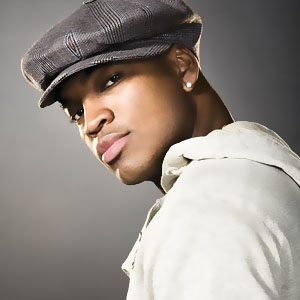 Ne-Yo led the pack, landing at the number 2 position with his third solo album, Year of the Gentleman. With the help of his popular singles “Closer” and “Miss Independent,” the Def Jam singer managed to sell 250,100 copies according to Nielsen’s SoundScan. Coming in right behind Ne-Yo at number 3 is Midwest superstar Nelly. Brass Knuckles, the rapper’s first release since 2004, sold 83,800 discs during its first week on the charts. The album features cameos from a slew of rappers including T.I., Rick Ross, LL Cool J, Usher, Fergie, Ciara, Akon and R. Kelly, among others. Four spots down at number 7 is Terror Squad affiliate DJ Khaled. With help from his usual suspects like Lil’ Wayne, Young Jeezy, Flo Rida, Rick Ross, Fat Joe, Akon and T-Pain, along with first time appearances from Nas and Chris Brown, We Global was able to push 49,400 units. The star-studded compilation album is the 305 DJ’s third release on Koch, following last year’s We The Best and 2006’s Listennn: The Album. For a complete list of your favorite hip-hop and R&B artists on the Billboard 200 be sure to check out SOHH‘s Sales Wrap column posting tomorrow (September 25). Nominate your favorite artists, bloggers or even yourself for an Online Hip Hop Award here.